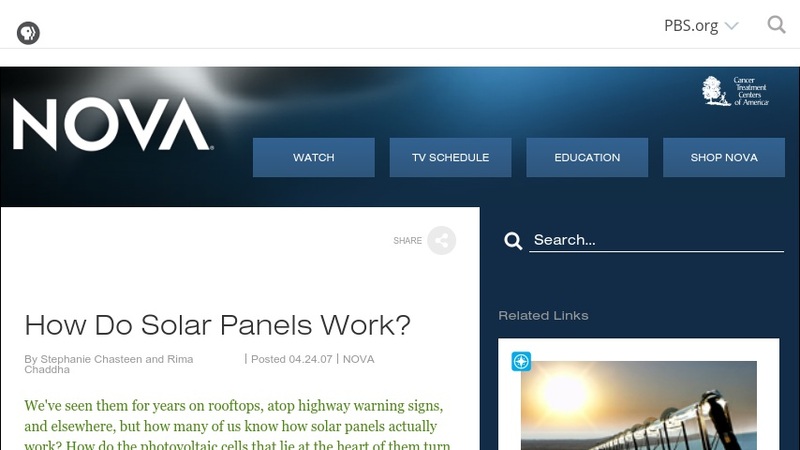 NOVA: How Do Solar Panels Work? How do solar panels convert sunlight into electricity? This interactive activity from NOVA takes the learner inside a virtual photovoltaic cell to see how two different layers of silicon work to establish an electric field, push electrons to metal conductor strips, and generate electricity. Appropriate for high school physical science, introductory physics, or environmental science courses.